Amazing Sites In The United Arab Emirates You Won’t Want To Miss! Your next vacation needs to be in the UAE! Why? Well, it’s because there you will find the four amazing and unmissable sites that are detailed below. Keep reading to find out more about each one, and how to get the best out of your UAE trip. One of the most famous and unmissable sites in the UAE is the building known as Burj Khalifa in Dubai. 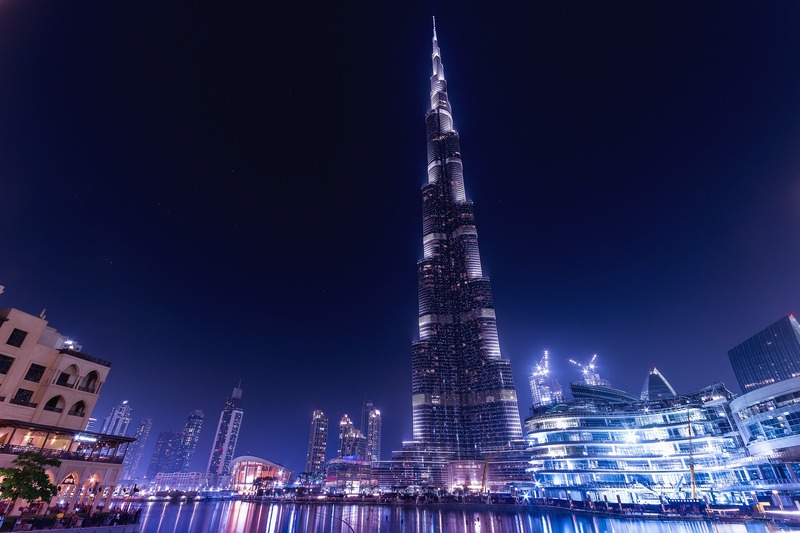 In fact, at 829.8m tall, the Burj Khalifa is actually the highest building in the world! Of course, that means any visitors are in for some rather spectacular and breathtaking views if they take a trip up the tower. In fact, the builder of this tower had this in mind during construction and included three observations decks at levels 124, 125, and 148 which means there are plenty of locations where you can gaze out across the city. Of course, if you really want to get the full experience, it’s best to go for a SKY experience which includes a personalized tour, the chance to get outside at 555m, as well as refreshment and an interactive map of Dubai to play with! It is also well worth visiting the Dubai Mall and the Dubai foundation when you are in the area as well, making Burj Khalifa an unmissable first location! The next location in the UAE that you won’t want to miss are the spectacular Hajar Mountains located in the Ras Al Khaimah region. In fact, the mountains range from Northern Oman all the way into north UAE with the closest city being Ras Al Khaimah and access being available on highway 21. Of course, if you are hoping to drive into the mountains themselves, you will definitely need a 4×4 due to the challenging terrain. One of the biggest draws to visiting the Hajar Mountains is the three-part zipline know as the Jebel Jais Flight. The entire route is about 2.83 kilometers in length, and depending on the weather, you may even get up to 150 km ph speeds. Don’t worry though, as the entire thing is of modern design and build, as its part of the leader of Ras Al Khaimah’s drive to attract more visitors to the area. You can even check out this page about Sheikh Saud bin Saqr al Qasimi if you like to know a little more about the man himself and everything he is doing to bring trade and tourism to the region. Another site that you absolutely can’t miss if you find yourself in this part of the world is the stunning Burj Al Arab hotel. Yes, this is the one that’s located off the shore of Jumeirah beach and is styled in the vein of a sailing boat. It’s also the one with an entire floor dedicated to a helicopter pad, and the one you can see Tom Cruise scaling in Mission Impossible. Of course, during your visit it’s unlikely that you want to climb up the outside, but there are plenty of exciting things to do inside as well. The first that you should consider is visiting one of 9 gourmet restaurants. Al Iwan is an excellent choice if you are looking for an opulent, but authentic vibe. Whereas if you are searching for a more relaxed open-air feel the Scape Lounge a good pick. Then there is the private beach associated with the hotel to enjoy, as well as the luxuriously appointed spa where you can book experiences like a romantic moonlight swim package. Which includes a couples swim in a private infinity pool along with champagne and roses! If fun is on the itinerary during your UAE visit, you can do no better than to visit Yas Island located in another of the countries major cities Abu Dhabi. There you find a spectacular water park choked full of flumes, slides, and even (almost) real-life mermaids and even a surfing sheet wave. There are plenty of other attractions on the Island too including that fabulous Ferrari World Abu Dhabi where you can not only have a fantastic driving experience but also ride the fastest roller coaster in the world. Alternatively, why not head over to the Yas Marina Circuit to take in some real-life racing done by professionals! Of course, in reality, there are many more than just these four sites to visit this amazing, culturally rich part of the world. So what are you waiting for? Get your flights booked today!